Indian President Pranab Mukherjee said that India’s judicial system, which was raised more than six decades ago, needs major changes. It is about time when everyone not just thinks but should act on judicial reforms. 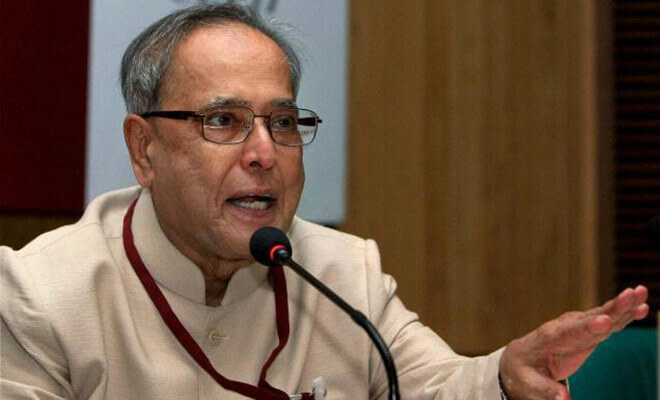 President Mukerjee, at a book release function in Delhi, said that country’s judicial system does require some major modifications. “Reform, I mean. Change is a continuous process. It cannot be stop and go. Every system with course of time develops certain clogs within itself. There is need for constant change,” President said. Prime Minister Narendra Modi gave first copy of the book, ‘Judicial Reforms? Recent Global Trends’, to President Mukherjee at Rashtrapati Bhavan. PM Modi had formally released the book. The book is penned by Dalveer Bhandari, a judge at the International Court of Justice. Judge Bhandari talks about dire need of judicial reforms. Thirteenth President of India, in his tenure, said that the largest court in country – the Allahabad High Court saw less than 50 per cent of its sanctioned posts of 180 judges being filled. The book release function at Rashtrapati Bhavan had dignitaries present including – Arun Jaitley, Ravi Shankar Prasad and Chief Justice J S Kheha.